The name of the Company hereinafter called “the Institute” is “FORAS MUIRIDHE NA h-EIREANN” (The Maritime Institute of Ireland). The Registered Office of the company will be situate in Eire. 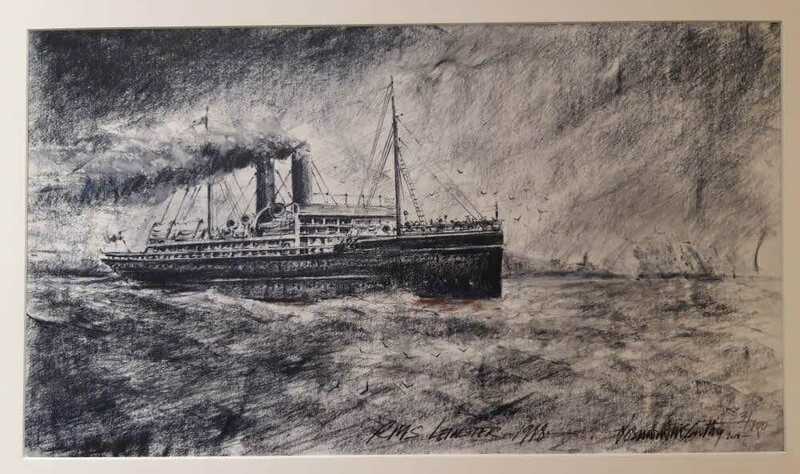 To aid, benefit and assist the maritime interests of Ireland and Irish citizens pursuing maritime occupations. To promote the interests of all Irish specialised knowledge, practice and research in maritime affairs. To promote scientific, historical and specialised knowledge, practice and research in maritime affairs. To establish, equip and maintain museums, meeting rooms, libraries and lecture or conference chambers. To accept, receive, hold, allocate, distribute, spend or otherwise dispose of money or other personal property, donated or loaned, in furtherance of maritime interest, historic research and in any or all sciences or subjects allied or pertaining thereto, including sums voted by the Oireachtas, or by any municipal, local or other authority to that end. To accept any trusts, whether subject to special conditions or not, in furtherance of any one or more of the objects of the Institute. To take over, purchase or in any way provide or secure and use equipment, appliances, apparatus or material of any type of variety, which in the opinion of the Institute is or may be necessary or desirable for the promotion of maritime interest and to loan, hire or sell such equipment to any person, institution or local authority. to secure such personnel as the Institute think desirable or necessary for the furtherance of the objects of the Institute, either by fellowships, lectureships, or by provision of funds to enable investigators and workers to pursue research either in Ireland or abroad. To make provision for such lectures, demonstrations to maritime Societies, publications in maritime journals, papers and monographs, and annual reports as seem to the Institute, to be likely to further the objects of the Institute. To appoint Committees to investigate special problems and to report or advise thereon. To enter into such contracts or agreements in furtherance of the objects of the Institute as the Executive committee may direct. To purchase, take on lease or in exchange, hire or otherwise acquire (to the extent permitted by law) any real or personal estate which may be deemed necessary or convenient for any of the purposes of the Institute. To construct, maintain and alter any houses, buildings or works necessary or convenient for the purposes of the Institute. To take steps by personal or written appeal, public meeting or otherwise, as may from time to time be deemed expedient, for the purpose of procuring contributions for the funds of the Institute in the shape of donations, annual subscriptions or otherwise. To print and publish any newspapers, periodicals, books or leaflets that the Institute may think desirable for the furtherance of the Institute. To borrow and raise money in such a manner as the Institute may think fit. To establish and support, or to aid in the establishment and support of associations or institutions calculated to benefit the promotion of scientific, historical, specialised knowledge and research into matters of a maritime nature. To affiliate or associate with kindred institutes, societies or other organisations in Ireland and other countries and to permit such to affiliate or associate with the Institute. To support and participate, where appropriate, in the work and interests of government departments and public and voluntary bodies, in related maritime affairs. Generally to do all other lawful acts whatsoever that may be conducive or incidental to the attainment of all or any of the above objects.Provided that the Institute shall not support with its funds any objects, or endeavour to impose on or procure, to be observed by its members or others any regulations, restriction or conditions, which, if an object of the Institute, would make it a trade union.Provided also in case the Institute shall take or hold any property subject to the jurisdiction of the Commissioners of Charitable Donations and Bequests for Ireland, the Institute shall not sell, mortgage, charge or lease the same without such authority, approval or consent as may be required by law, and as regards any such property the Executive Committee of the institute shall be chargeable for such property as may come into their hands, and shall be answerable and accountable for their own acts, receipts, neglects and defaults and for the due administration of such property in the same manner and to the same extent as they would be as such Executive committee have been if no incorporation has been effected and the incorporation of the Institute shall not diminish or impair any control exercisable by the High Court or the Commissioners of Charitable Donations and Bequests for Ireland over such Executive Committee but they shall, as regards any such property, be subject jointly and separately to such control or authority as if the Institute were not incorporated. In case the Institute shall take or hold any property which may be subject to any trusts, the Institute shall only deal with the same in such manner as allowed by law having regard to such trusts. The income and property of the institute, whencesoever derived, shall be applied solely towards the promotion of the objects of the Institute as set forth in this Memorandum of Association and no portion thereof shall be paid or transferred, directly or indirectly by way of dividend, bonus, or otherwise howsoever by way of profit to the Members of the Institute.Provided that nothing herein shall prevent the payment in good faith of reasonable and proper remuneration to any officer or servant of the institute or to any Member of the Institute in return for any special services actually rendered to or special work done for the institute, nor prevent the payment of interest at a rate not exceeding 10 per centum per annum on money lent, or reasonable and proper rent for premises demised or let by any Member of the institute, but so that no member of the Executive committee shall be appointed to any office of the Institute paid by salary or fees and that no remuneration or other benefit in money or money’s worth shall be given by the Institute to any Member of such Executive Committee except repayment of out-of-pocket expenses and interest at a rate aforesaid on money lent or reasonable and proper rent for premises demised or let to the Institute. No addition, alteration or amendment shall be made to or in the regulations contained in the Articles of Association for the time being in force, unless the same have been previously submitted to and approved by the Registrar of Companies and the Charity Commissioners of the Revenue Commissions. The fourth and fifth Clauses of this Memorandum contain conditions on which a licence is granted by the appropriate Minister to the Institute, in pursuance of Section 20 of the Companies (Consolidation) Act, 1908. Each member of the Institute undertakes to contribute to the assets of the Institute in the event of its being wound up while he is a member, or within one year afterwards, for payments of the debts and liabilities of the institute contracted before he ceased to be a Member, and costs, charges and expenses of winding up, and for adjustment of the rights of the contributories among themselves, such amounts may be required, not exceeding €1.27. If upon the winding up or dissolution of the Institute there remains, after satisfaction of all debts and liabilities, any property whatsoever, the same shall not be paid to or distributed among the Members of the Institute, but shall be given or transferred to some other institution or institutions, having objects similar to the objects of the Institute, and which shall prohibit the distribution of its or their income and property amongst its or their members to an extent at least as great as is imposed on the institute under or by virtue of Clause 4 hereof, such institution or institutions to be determined by the members of the Institute at or before the time of dissolution, or by default thereof by such Judge of the High court of Justice as may have jurisdiction in the matter, and if and so far as effect cannot be given to the aforesaid provision, then to some charitable object. True accounts shall be kept of the sums of money received and expended by the Institute and the matters in respect of which such receipts and expenditure take place, and of the property, credits and liabilities of the Institute, and subject to any reasonable restrictions as to the time and manner of inspecting the same that may be imposed in accordance with the regulations of the institute for the time being, shall be open to the inspection of the members. Once at least in every year the accounts of the Institute shall be examined and the correctness of the balance sheet ascertained by one or more properly qualified auditor or auditors. Annual audited accounts shall be kept and made available to the Revenue Commissioners on request. ‘Riversdale’, Queens Park, Monkstown, Dublin. Director & General Manager, British & Irish S.P. Co. Ltd.
1, 2, 3 Westmoreland Street, Dublin. 27/29 Upper Abbey Street, Dublin. 3 Greenpark, Orwell Road, Rathgar. 3 St. Andrew Street, Dublin. Members shall comprise every person hereafter elected a Member so long as his or her name remains on the register of the Institute as a Member. The following are declared to be the first Members of the institute and shall be known as Founder Members. J.A. Belton, M.A. B.L. 17 Maretimo Gardens, E. Blackrock, Co. Dublin. E.J. Betsor, 20 Eden Quay, Dublin. M. Birmingham, 199 North Circular Road, Dublin 7. Senator Brennan, 1, 2 & 3 Westmoreland Street, Dublin. H. Brockhaven, Managing Director, Siemens Schuckert (Ireland) Ltd. Middle Abbey Street, Dublin 1. R.F. Browne, 13 Palmerstown Park, Rathmines, Dublin 6. J. Bruton, Cornelstown, Dunboyne, Co. Meath. R.A. Burke, 22 Eden Quay, Dublin 2. P.C. Cahill, M.P.S.I. 16 Bachelors Walk, Dublin 1. F.J. Cassin, 13 The Quay, Waterford. A.S. Clarkin, 2 Herbert Avenue, Dublin. W.P. Corrigan, 3 St. Andrew Street, Dublin. M. Creeden ‘Riversdale’ Queens Park, Monkstown, Co. Dublin. M. Devitt, C/O P. Donnelly & Sons ltd., 37 Westmoreland St. Dublin. M. Devlin, 2 Lower O’Connell Street, Dublin 1. H.E. Donegan, Solicitors, 74 South Mall, Cork. T.J. Donovan, 153 Fortfield Road, Terenure, Dublin. T.P. Dowdell T.D. C/O Dowdell O’Mahoney & co. Ltd. Cork. R.J. Duggan ‘Cosh’ Ailesbury Road, Dublin. R.B. Evans, 152 Capel Street, Dublin. M. Fitzgerald, 21 South Anne Street, Dublin. S. Fitzgerald, c/o Harbour Office, Cork. F. O’Flanagan, 103 Vernon Avenue, Dublin. J.J. Flanagan, 55 Dollymount Avenue, Clontarf, Dublin. J.W. Gallagher, 12 Raglan Road, Dublin 4. Lord Glenavy ‘Clonard’, Kimmage Road, Dublin. Capt. A. S. Gordon, 17 Eden Quay, Dublin. O. Hanratty, Cois Cleanna, Mount Merrion Avenue, Dublin. G. Heffernan, 21 south Mall, Cork. P. Higgins, 1 Rock Road, Booterstown, Co. Dublin. Rev. Dr. C.F. Hurley, St. Kevin’s The Presbytery, Harrington Street, Dublin 8. S.V. Kirkpatrick, Maretimo Gardens E. Blackrock, Co. Dublin. C. Lavery ‘Carrickbrennan’, Monkstown, Co. Dublin. Colonel Lawlor, 91 Mount Prospect Avenue, Clontarf, Dublin. T.J. McBride, Bunbeg, Co. Donegal. M.J. McCabe, ‘Knocksedan’ Shrewsbury Road, Dublin. E.T. McCarron ‘Craiglands’ Ardeevin Road, Dalkey, Co. Dublin. N. McEvoy, c/o Connolly Shaw (Ireland) Ltd. 4 Mary’s Abbey, Dublin. T.L. McGee, Ardee, Co. Louth. D. McGranaghan, 15 North Circular Road, Dublin. P. McGrath, Foxrock House, Foxrock, Co. Dublin. T. McLaughlin, St. Brigids, Rathfarnham, Co. Dublin. R. MacKenzie ‘Milford’ 75 Merrion Road, Dublin. S. MacKenzie, 4 Waltham Terrace, Blackrock, Co. Dublin. Major N. MacNeill, Ordnance Survey, Phoenix Park, Dublin. Commander Morris, 345 Harold’s Cross Road, Dublin. F. Murphy, c/o MacDonagh & Boland ltd., 31 Dame Street, Dublin. H.M. Murphy, 4 Trinity Street, Dublin. H.W. Nesbitt, ‘Woodlawn’, 34 Seafield Road, Clontarf, Dublin. A. Keogh Nolan, 46 St. Lawrence Road, Clontarf, Dublin. J.P. O’Brien ‘Culmanae’, Coliemore Road, Dalkey, Co. Dublin. T. O’CONNOR, Eglinton Lodge, Dundrum, Co. Dublin. S. O’Farrell, 1a Hollybrook Park, Dublin. T. O’Hanrahan, Comlucht Siuicre Eireann Teo, Clare Street, Dublin. J. O’Keefe, ‘Ardnagreina’, Bantry, Co. Cork. E. O’Neill, T.D. Kinsale, Co. Cork. H. Osterberg, Managing Director, Cement ltd., 35 Westmoreland Street, Dublin 2. Counsellor M. O’Sullivan, P.C. 74 Ballymun Road, Dublin. P. O Siocfhradha, 119 Morehampton Road, Dublin 4. M. Powell, B.A. Solicitor, 50 Grand Parade, Cork. J.P. Reihill, ‘Cintra’ Ailesbury Park, Dublin. S. Reynolds, c/o Liffey dockyard Co. ltd. East Wall Road, Dublin. J. J. Robinson, 8 Merrion Square, Dublin 2. A. J. K. Roycroft, ‘Quinsboro’ Limerick. J.R. Sheridan, ‘Minerva’, St. Alban’s Park, Ballsbridge, Dublin. T.K. Sheridan, ‘Clovelly’ 123 Vernon Avenue, Clontarf, Dublin. R.W. Sinnott ‘Knocksinna’ Stillorgan, Co. Dublin. J.J. Stafford, St. Mary’s Summerhill, Wexford. Cmdr. A.J. O’B. Twohig, Maretimo Gardens W. Blackrock, Co. Dublin. R.V. Wilson, 37 Rathfarnham Park, Dublin. T.G. Wilson, M.B, F.R.C.S.I. 3 Fitzwilliam Square, Dublin. (a) ‘The Institute’ means the above-named Company, ‘Member’, and ‘honorary member’ mean, respectively Member and Honorary Member. (b) ‘The Articles’ means these Articles of Association, with such modifications thereof or additions thereto, as may from time to time be in force. (c) ‘The Bye-Laws’ means the Bye-laws of the Institute for the time being in force. (d) ‘Regional Group’ means a Regional Group of the Institute constituted as hereinafter provided. (e) ‘Executive Committee’ means the Executive Committee of the institute constituted as hereinafter provided. (f) ‘Seal’ shall mean the common Seal of the Institute. (g) The Executive Committee shall forthwith provide a Common Seal for the Institute, and they shall have power from time to time to destroy the same and substitute a new Seal in lieu thereof. (h) The Common Seal of the institute shall be kept at the Office of the Institute, and shall never be affixed to any document except in pursuance of a resolution of the Executive Committee and shall be so affixed in the presence of at least two Members of the Executive Committee and of the Secretary, or such person as the Executive Committee may appoint for the purpose, and such member of the Executive Committee and Secretary or other person aforesaid shall sign every instrument to which the Seal is so affixed in their presence. (i) Deeds, Bonds and other contracts under Seal made on behalf of the institute, sealed with the Common Seal of the Institute, shall be deemed to be duly executed. (j) ‘Existing’ means at the time when these Articles come into operation. (k) ‘Secretary’ means the Secretary of the Institute. (l) Expressions defined in the Companies Acts 1908 to 1924 as amended, shall have the meanings so defined. (m) ‘The institute’ means the registered company known as ‘Foras Muiri na hEireann – the maritime Institute of Ireland’. (n) ‘Annual General Meetings’ means a general meeting of members called for the purpose of hearing the reports of the officers, the state of finances the election of officers, and agree the future plans of the Institute, and other relevant matters as laid out in the Order of Business. (o) ‘Extraordinary General Meetings’ means a general meeting of members called for the discussion of a topic or topics of special significance to the institute where a degree of urgency is required. No topics other than those specified in the agenda may be discussed or introduced for discussion at the EGM. (p) ‘Regional Group’ means a body that has a constitution of rules in accordance with the declared aims and objects of the Institute, that elects officers and holds regular meetings and an annual general meeting in pursuit of these aims. (q) ‘Registered Member’ means an individual member of the Institute who is currently registered with the Institute in accordance with the Articles of Association. (r) Words importing only the singular number include the plural and vice versa. (s) ‘The Seal’ means the common seal of the company. (t) Words importing the masculine gender include the feminine gender. (u) ‘Director’ means the officers and members of the Executive Committee. An Executive Committee and Regional Groups. The Executive Committee shall, where it considers appropriate, delegate to Committees of the Institute or to a particular member of the Institute, business of the Institute regarding the Museum, Research, Publications, the Library, Commemorative Events, Public Relations, Lectures, Visits, youth training, development, fund raising and other special activities as determined from time to time in achieving the objectives of the Institute. The Chairperson of such committees shall report to meetings of the Executive and shall be appointed by the Executive. All committees shall work under the general guidance of the Executive and shall be subject to reappointment following each Annual General Meeting. The President of the Institute shall have authority to attend all such meetings. 1. The Institute shall be open to all individuals and to corporate bodies who wish to join or to be associated with the aims of the Institute. Only such corporate bodies as have a direct or indirect connection or interest in the affairs or aims of the Institute should normally be accepted as members under this category. 3. The Institute shall have, in addition, the power to honour certain individuals, whether members of the Institute or not, with the title of honorary Life Member below for outstanding service to the institute or to any of the aims of the Institute. Such persons shall be decided by the Executive Committee and notified to the Annual General Meeting. 4. Former Presidents of the institute shall have the title ‘President Emeritus of the Institute’. 5. The Executive Committee may also nominate Patron membership of the Institute to prominent individuals or organisations who make significant contributions or other benefactors who assist the Institute to achieve it objectives. 6. The Executive Committee shall have the power to issue medals to members or non-members of the Institute to recognise their outstanding contribution to the aims and activities of the Institute. The conditions governing such awards shall be drawn up by the Executive Committee from time to time and shall be notified to the Annual General Meeting. The Executive Committee shall present such awards at AGMs or other suitable occasions. 7. For the purposes of the awarding of Honorary Life Membership and where it is proposed to award medals for special service to the institute, an Awards Committee shall be appointed. The Awards Committee will adjudicate and report to the Executive Committee on each name submitted to it and shall make an appropriate recommendation to the Executive Committee for its approval. 8. Each category of member shall subscribe annually such sum as may be determined at the Annual General Meeting by the Members, provided that a higher annual subscription shall be paid by corporate members than by any other category of membership. 9. The affiliation of organisations in Ireland or abroad, that have policy objectives in maritime affairs similar to that of the institute and that can be considered beneficial, to the aims of the Institute, shall be provided for. The Executive Committee shall have the power to decide on the format of that affiliation and the manner of working with such organisations and the subscription fees to be levied. Such affiliates shall have the right of participation but shall not be eligible to vote in any activities of the Institute. 10. The Executive Committee shall have absolute power to terminate the membership of any member of the Institute at any time upon giving to such member one month’s previous notice in writing of the intention to terminate such membership. The reason for such decision shall be included and the member shall have the right of appeal to the AGM. – If he is directly or indirectly interested in any contract with the Institute and fails to declare the nature of his interest in the manner required by the relevant Statutes. 12. The individual or individuals whom it is proposed to remove from a position or positions on the Executive Committee, Regional Group or any sub-committee formed for any purpose whatsoever, or from membership of the Institute, or who shall be the subject of formal censure, shall be given in writing specifying the reasons for his dismissal or censure and given notice of the intention to pursue removal or any other such disciplinary course of action. 13. The Member against whom such a disciplinary action is proposed, shall be given the right of hearing before the body from which it is proposed he be disciplined or removed, in order to appeal or make a defence on his behalf. 14. Legal representation shall be permitted to the appellant or appellants, but at least twenty days notification must be given by the appellant to permit of legal representation on behalf of the Maritime Institute. The Institute shall not bear any costs of legal representation by the appellant or appellants. 15. It shall be the duty of members of the Institute and in particular members of the Executive Committee, to uphold and advance the aims and objectives of the Institute at all times. 1. All Annual General Meetings of the Institute shall be held in Ireland. 2. The Institute shall, between the 1st of August and the 30th of November, hold an Annual General Meeting in addition to any other meetings in that year, and shall specify as such in the notices calling it. Not more than fifteen months shall elapse between the holding of one Annual General meeting and that of the next. 3. The Annual General Meeting shall be held at such time and place as the Executive Committee shall appoint to receive the Annual Reports of officers, the Statement of Verification of Accounts, the appointment of an auditor or auditors for the next year, the election of a new Executive and to discuss any other matters as indicated on the Agenda. 4. Members of the Institute at the Annual General Meeting shall elect by secret ballot to the Executive Committee not more than 12 members including the five officers from the individual members of the Institute. Three Tellers shall be appointed from those members at the AGM. 5. No business shall be transacted at any Annual General Meeting unless the quorum of 20 members is present. 6. Alterations to the Articles of Association can only be made at an Annual General Meeting, and by a two-thirds majority of those present and eligible to vote. The General Secretary of the Institute shall give 21 clear days notice of the Annual General Meeting in writing to Members. The Executive Committee may, whenever they think fit, convene an Extraordinary General Meeting to debate a topic or topics of special importance to the Institute. An Extraordinary General meeting may also be called, by way of written requisition delivered to the General Secretary and signed by not less than 20 individual members of the Institute. The General Secretary shall give twenty-one clear days written notice of meetings to all members. The notice shall also state clearly the purpose for which the meeting is called. All voting, with the exception of Art. 5.6 shall be by simple majority, and the Chairman shall have a casting vote in the event of a Tie. 1. The management of the Institute shall be vested in the Executive Committee, which shall be empowered to make all decisions relating to the policy, administration, finance, membership and the furtherance of the aims of the Institute. 2. The Executive Committee shall comprise the President, the Deputy President, the General Secretary, the Treasurer, the Membership Secretary and ten ordinary members. 3. As and from the 2008 Annual General Meeting. The President and General Secretary shall be elected by members at the AGM for a term of office of two years. These officers shall be eligible for re-election for a further maximum term of two years for these positions. 4. As and from the 2008 Annual General Meeting the Deputy President, the Treasurer and membership Secretary shall be elected for a term of office of two years. These officers shall be eligible for re-election for a further maximum term of two years for these positions. 5. As and from the 2008 Annual General Meeting seven ordinary members of the Executive Committee shall be elected for a term of office of two years. These members shall be eligible for re-election. 6. Following the 2008 A.G.M. the Executive Committee may co-opt, at its absolute discretion, a further three, and not more than three ordinary members for a term of office of one year and these members shall be eligible for re-appointment. 7. The Executive committee shall receive the reports of the Officers, the Chairman of Committees and shall hear all relevant correspondence. The Executive shall review the applications for and accept the applications for membership under the categories as in these Articles. They shall also decide the applications for the affiliation of new regional groups in accordance with the Aims and Objects of the Institute and with the provisions of these Articles. 8. The Executive Committee may appoint one or more part-time or full-time paid employees to the institute. The employee/s shall be employed at such remuneration (if any) and for such period and, subject to such conditions as the Executive shall from time to time decide. Such conditions shall conform to regulations of the State relating to such matters. 9. The Executive Committee may delegate such of its powers and authority to the employee/s as it shall, from time to time decide. All employees of the Institute may attend Executive Committee meetings and participate in the proceedings, as determined by the Executive from time to time. 10. The Executive Committee shall ensure that all books, files and records of the Institute, when no longer required for regular use, are lodged, for safe keeping in the Library of the Institute. 11. A quorum for an Executive Committee meeting shall be at least eight members including two officers. 12. All such books and records shall be maintained in a secure place and access shall be ensured to the auditors or those officers entitled by their appointment in the Institute to have such access. The Executive Committee shall have authority to establish Regional Groups of the Institute composed of members in specified area of Ireland and abroad. The title of the Regional Group shall be designated by the Executive Committee in consultation with local members. Each Regional Group shall subscribe an annual affiliation fee to the Institute as determined by the Executive. ccounts shall be subject to the supervision of the Treasurer of the Institute and quarterly reports to the Executive. Audited accounts must be submitted each year to the Executive. The Executive Committee shall determine the rules and guidelines for the organisation of Regional Groups. The Executive Committee shall have full authority over the finances of the Institute. All accounts held by all persons on behalf of the Institute for whatever purpose shall also be open to the inspection and general supervision of the Institute’s Treasurer and Auditors. The Company may borrow money and to Mortgage or charge its undertaking and property or any part thereof, whether outright or as security for any debt, liability or obligation of the Institute provided such acts are authorised by the Executive Committee. The Council, may, out of the moneys of the Company, by way of the Company, by way of Reserved Fund, from time to time reserve or set apart such sums as in their judgement are necessary or expedient, to be applied at the discretion of the Executive Committee in providing against losses or leasehold or other property subject to depreciation, or to meet claims on or liabilities of the Company, or to be used as a sinking fund to pay off debentures or incumbrances of the company, or subject to the provisions of the Memorandum of Association, for any other purpose of the Company. The Treasurer must obtain the prior approval of the Executive Committee for all expenditure over such sum as shall be decided from time to time by the Executive. All bank cheques shall have the signature of the Treasurer and the signature of a designated officer of the Executive Committee. All day to day financial matters, including cash transaction shall be under the supervision and control of the Treasurer. The funds of the Institute shall be lodged in the name of the Institute’s authorised officers at a bank in Ireland nominated by the Executive Committee. The accounts to be presented to the Annual General Meeting shall have been independently verified by the Auditor/s appointed by the Institute’s Annual General Meeting. The accounts shall also be presented to the Executive Committee in the form of a balance sheet for the guidance and information of the meetings, but not necessarily in audited form. The Executive Committee may authorise the establishment and operation of other bank accounts as required for whatever purposes. These accounts shall be operated, and audited, in the same way as outlined above in relation to the main accounts. The names of the members of the Executive Committee present at each of its meetings and the proceedings thereof. The proceedings of all Executive Committee meetings of the Institute and a record of the attendance thereat. Any such minutes, if purporting to be signed by the chairman of such a meeting or by the chairman of the next succeeded meeting, shall be sufficient evidence of such a meeting without the need for further corroboration of the facts stated therein. All such books and records shall be maintained in a secure place in the registered Head Office of the Institute. The conduct and business of the Executive Committee and Committees shall be open and transparent. Minutes of meetings, where kept, will be available upon request by all paid up members. At the discretion of the Executive Committee or request of an employee, matters which are personal to an employee or may not be in the best interest of the Institute, subject to statutory obligation and other rights, may be withheld from the public domain. The Seal of the Institute shall not be affixed to any instrument except by the authority of a resolution of the Executive Committee and in the presence of at least two members of the Executive Committee or one member of the Executive Committee and the General Secretary of the Institute and the said members of the Executive Committee and General Secretary shall sign every instrument to which the Seal shall be so affixed in their presence, and in favour of any purchaser or person bona fide dealing with the institute such signatures shall be conclusive evidence of the fact that the Seal has been properly affixed. The assets and liabilities of the Institute. The books of accounts shall be kept at the registered office of the Institute and shall always be open to the inspection of the members of the Executive Committee. The Executive Committee shall from time to time determine whether and to what extent and at what time and places and under what conditions or regulations the accounts and books of the institute or any of them shall be open to the inspection of members (not being members of the Executive) and no member shall have any right of inspecting any account or book or document of the institute except as conferred by statute or authorised by the Executive Committee or by the Institute in general meeting. The Executive Committee shall provide a common seal for the purposes of the company. Once at least in every year the accounts of the institute shall be examined and the correctness of the income and expenditure account and the balance sheet ascertained by one or more properly qualified Auditor or Auditors, and the report of such Auditors together with every other document required by law to be annexed thereto, shall be laid before the Annual General Meeting of the Institute. Auditors shall be appointed and their duties regulated in accordance with Section 160 and 163 of the Companies Act 1963, (the members of the Executive Committee being treated as the Directors named in these Sections) or any amendment or modification thereof. Every member of the Executive Committee, the general Secretary, and any other officer or servant of the institute shall be indemnified by the Institute against all losses or liabilities which he may sustain in or about the executive of the duties of his office or otherwise in relation thereto and it shall be the duty of the Executive Committee out of the funds of the institute to pay all costs, losses, and expenses which any such officer or servant may incur or become liable for by reason of any contract entered into or act or thing done by him as such officer or servant or in any way in the discharge of his duties, including travelling, hotel and out-of-pocket expense. No member of the Executive Committee or other officer of the Institute shall be liable for the acts, receipts, neglects or defaults of any other member of the Executive Committee or officer or servant or for any loss of expense happening to the Institute through the insufficiency or deficiency of title to any property acquired by order of the Executive Committee for or on behalf of the institute, or for the insufficiency or deficiency of any security in or upon which any of the monies of the institute shall be invested, or for any loss occasioned by any error or judgement or oversight on his part, or for any other loss, damage or misfortune whatsoever which shall happen in the execution of the duties of his office or in relation thereto, unless the same happen through his own dishonesty. The Executive Committee of the institute shall hold in trust the Mariners’ Church, Haigh Terrace, Dun Laoghaire and the grounds thereof on behalf of all members of the Institute. The Mariners’ Church shall not be disposed of by the Executive Committee under any circumstances without the approval of an Extraordinary General meeting of the institute. Such E.G.M. decision shall require a two-thirds majority of those members in attendance. It shall be the duty of the Executive Committee to protect the major state investment in the Church in full consultation with the Office of the Public Works. The day-to-day direction, control and finances of the Museum and the Library shall be the responsibility of the Executive Committee. However, the Executive Committee shall have the authority to delegate such powers to a special Museum Committee and Library Committee appointed solely for such purposes and which shall carry out all its duties on behalf of the Executive Committee. The Executive Committee shall have authority to allocate a budget to the Museum and Library Committees for specific purposes. 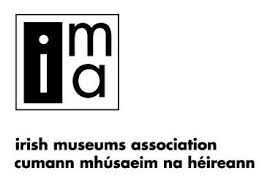 The Executive Committee fully acknowledges the Museum Committees right to administer their own accounts with the proviso that the Museum Accounts are annually consolidated within the Maritime Institute of Ireland accounts. The Chairpersons of the Museum and Library Committees shall be approved by the Executive Committee and shall report to the Executive Committee as required. The Executive Committee shall ensure that an updated archive register of all books, manuscripts, drawings, paintings, maps, photographs and any other material donated to the Library shall be maintained in the Museum. All questions of interpretation, construction or application arising out of, or in connection with these Articles and Rules shall be determined by the Executive Committee whose decision thereon shall be final. Alterations to any of the Rules of the Association shall be given in writing by the proposer to the General Secretary, who shall include such on the Agenda of the next General Meeting. Alterations to either the Articles or the Rules of the institute must be carried by two thirds of these present and eligible to vote. A journal or other publication agreed upon by the Executive Committee may be published periodically by or at the expense of the Institute, conducted whether on a part or whole-time basis, by an honorary or paid editor, or editors or Committee who shall be responsible for all that appears herein, except such matters as are inserted in accordance with the Articles and by-laws or by direction of the Executive Committee any such editor, or editors or Committee shall be appointed by and be subject to the control of the Executive Committee. Papers of interest to the Members of the Institute shall be published as and when the Executive Committee may thing fit. Auditors shall be appointed, and their duties regulated in accordance with Section 112 and 113 of the Companies (Consolidation) Act 1908, or any statutory modification thereof for the time being in force. Every account of the Executive committee when audited and approved by a General Meeting shall be conclusive, except as regards any error discovered therein within three months next after the approval thereof. Whenever any such error is discovered within that period the Account shall forthwith be correct. A Member of the institute (including a member of the Executive Committee, may, if the Executive Committee so determine, be repaid out of the funds of the Institute any hotels, travelling or other expenses properly and necessarily incurred by him in attending meetings of the Executive Committee or otherwise on the affairs or in connection with the activities of the Institute. Save so far as determined by Statute or by the Articles, the constitution and mode of government of the institute, the rights and obligations of every Member, honorary Member, the appointment, duties, powers and privileges of all officers, committees and governing and administrative bodies, both of the Institute and of every Regional Group, shall be such as may from time to time be prescribed and determined by or in accordance with the bye-Laws. Any Bye-laws or any alterations or additions of or to any Bye-Laws shall be in no way inconsistent with the Memorandum of Articles of Association. No Bye-Law or Regulation shall be made which would amount to such an addition to or alteration of the Articles of Association as could legally only be made by a Special Resolution passed and confirmed in accordance with Section 69 of the Companies (Consolidation) Act 1908. AGM 05/05/79. The rights of the individual member shall be personal and non-transferable and shall cease on death. The rights of a corporate member or organisation shall be non-transferable. 1. The members of the Institute at the Annual General meeting shall first elect the incoming President and the remaining four officers and then the remaining seven ordinary members of the Executive. 2. The outgoing President shall continue to preside until the business of the Meeting is at an end, when he shall formally hand over to his successor. 3. All nominations for the five posts of officers and the seven ordinary members of the Executive Committee shall be submitted to the General Secretary, in writing four teen days prior to the Annual General Meeting. Those nominated must be present at the AGM. The General Secretary shall submit an attendance record of all members of the Executive Committee to the AGM for the preceding year. The person nominated must also be submitted. Such business as by Statute, or by the Articles, or by the Bye-Laws shall for the time being be appointed to be transacted at such Meetings. 2. The appointment of an Auditor or Auditors (who shall be a Professional Accountant or professional Accountants. 3. Such other business as may arise for consideration. 4. No business shall be transacted at any General meeting unless a quorum is present when the meeting proceeds to business. Save as in hereinafter provided twenty members shall constitute a quorum. In calculating a quorum a corporate member present by its authorised representative or representatives shall be counted as one vote. If within a half hour from the time appointed for the holding of a meeting a quorum is not present, the meeting, if convened on the requisition of members, shall be dissolved. In any other case, it shall stand adjourned to the same day in the next week at the same time and place, or at such other place as the Chairman of the meeting shall appoint and if at such adjourned meeting a quorum is not present within half an hour from the time appointed for holding the meeting, the members present shall be the quorum. 5. The President shall preside as Chairman at every General Meeting, but if there is no such chairman, the Deputy President shall preside. If at any meeting either Officer shall not be present within fifteen minutes after the time appointed for the holding the same, or shall be unwilling to preside, the members of the Executive Committee present may choose a Chairman of the Meeting, and in default of their doing so, the members present and eligible to vote shall choose some member of the Executive committee, or if no member of the Executive Committee is present, or if such members of the Executive committee present decline to take the chair, they shall choose by simple majority some member of the Institute who shall be present to preside. 6. At any General Meeting a resolution put to the vote of the meeting shall be decided on a show of hands by a simple majority of the members present and entitled to vote, unless before, or upon, the declaration of the result of the show of hands, a poll be demanded in writing by the chairman of the meeting or by at least five members present and entitled to vote. 7. Alterations to the Articles of Association may only be made at the Annual General Meeting and a motion or motions proposing same must accompany the Notice of Meeting to all members when calling the meeting. A majority of two thirds of those present and eligible to vote shall be required in order to carry such proposal or proposals. Twenty eight days clear notice of any such motions must be given to the General Secretary prior to the Annual General Meeting. 8. Unless a poll be so demanded, a declaration by the Chairman of the meeting that a resolution has been carried or lost shall be conclusive, and an entry to that effect in the minute book of the institute shall be conclusive evidence thereof, without proof of the number or proportion of the votes recorded of the meeting at which the poll was demanded. 9. If a poll be demanded in manner aforesaid, it shall be taken at such time and place, and in such manner, as the Chairman of the meeting shall direct, and the result of the poll shall be deemed or proportion of the votes recorded of the meeting at which the poll was demanded. 10. with the exceptions as specified in Articles 5.6 all motions shall be carried by a simple majority of all those present and voting. In the case of an equality of votes, the Chairman of the meeting shall be entitled to a second or casting vote. An individual member shall have one vote. A corporate member shall be entitled to nominate up to three representatives to attend a General Meeting but shall have only one vote. Votes may be given on a poll either personally by an individual member, or by an authorised representative of a corporate member, or by proxy …. In the case of a show of hands, an individual representing a corporate member, by proxy only, shall not be entitled to vote. The instrument appointing a proxy shall be in writing under the hand of the appointer of his attorney duly authorised in writing, or if such appointer is a group member then under the hand of some officer duly authorised in that behalf or, if the appointer is a body corporate, either under seal or under the hand of an officer or attorney duly authorised. The instrument appointing a proxy and the power of attorney or other authority, if any, under which it is signed or a notarially certified copy of that power or authority shall be deposited at the office or at such other place within the State as is specified for that purpose in the notice convening the meeting not less than 48 hours before the time for holding the meeting or adjourned meeting at which the person named in the instrument proposes to vote, or, in the case of a poll, not less than 48 hours before the time appointed for the taking of the poll, and in default the instrument shall not be treated as valid. An instrument appointing a proxy shall be in the following form or a form as near thereto as circumstances permit – see Annex A. A vote given in accordance with the terms of an instrument of proxy shall be valid notwithstanding the previous death or insanity of the principal or revocation of the proxy or of the authority under which the proxy was executed, if no intimation in writing of such death, insanity or revocation as aforesaid is received by the company at the office before the commencement of the meeting or adjourned meeting at which the proxy is used. The use of proxy voting is restricted to Annual and extraordinary General Meetings only. A notice may be served by the Institute upon any member either personally or by sending it through the post in a pre-paid letter addressed to such member at his registered place of abode. Any notice served by post shall be deemed to have been served at the time the letter containing the same would be delivered in the ordinary course of post, and in proving such service it shall be sufficient to prove that the letter containing the notice was properly prepaid and posted. – Every person being a personal representative of the Official assignee in bankruptcy of a member where the member, but for his death or bankruptcy, would be entitled to receive notice of the meeting and. – The auditor for the time being of the Institute. – The Executive committee shall have authority to invite to whole or part of general, annual and extraordinary meetings of the Institute non-voting persons. Dated the 11th day of August 1941.